Miami Homestay is deluxe hotel in Cherai beach, Kerala India. 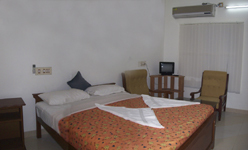 It offers 08 rooms with modern style. Beach is very close to the hotel. Sea breeze may soothe your body and refresh your mind.